Margaret Brownell - Lawrence Thompson Architects, INC.
"A new heart for a dear old estate"
An extensive remodel of an old Italianate Home on the beach at Indian Head Road, Greenwich, Connecticutt, with new Kitchen, Dining, Garage, Trellised Portico, Breezeway, and related construction. The Kitchen was very well appointed and an unusual concern over detail in the operation and execution of cabinetry, integrated with top line equipment. 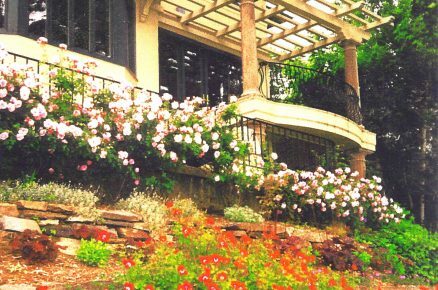 Care was taken to integrate the remodeled area with the portion of the home to be preserved. 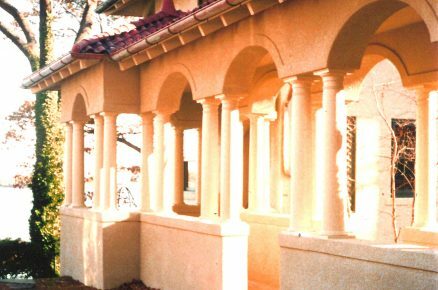 "Tuscan" columns and arches created needed accents to the villa by Long Island Sound.